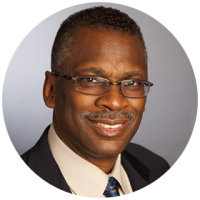 Dr. Lonnie Johnson, a bonafide “rocket scientist,” has just one mission — to ensure the world has enough energy for a prosperous future. Although he has devoted his life to solving some of the world’s most complex technological problems, he is best known for his widely popular invention, the Super Soaker water gun. Dr. Johnson is a prolific inventor and holds more than 100 patents, the vast majority of which are energy related. In 2000, realizing that a small startup company could not compete in a technology where larger well-established companies were already beginning to focus, Dr. Johnson looked beyond Lithium-ion which was the emerging advanced battery technology at that time. With this “leap-frog” strategy, Johnson Battery Technologies (JBT) has become a leading developer of the next generation of battery technology, Ceramic Solid-State Batteries. JBT’s technology will not only provide an enabler for the IoT revolution, but also change the paradigm for consumer electronic devices with more than 2x improvement over Lithium-ion. In parallel JBT’s sister company, Excellatron, is developing Lithium-Air batteries. Today, electric vehicles can run ~200 miles on a single charge; however with Excellatron’s technology, an electric vehicle could potentially achieve 1,000 miles on a single charge. An energy expert at the National Science Foundation has identified Dr. Johnson’s third energy invention (the JTEC heat engine) as being “possibly the greatest on earth.” In 2011, Dr. Johnson was inducted into the Engineering Hall of Fame by the state of Alabama, the first African American ever to obtain such an honor in the state’s history. He was awarded the “Breakthrough Award” from Popular Mechanics magazine for the JTEC invention that converts heat directly into electricity. He has been featured in countless magazines and newspaper articles and has appeared on numerous television programs. Dr. Johnson holds a bachelor’s degree in Mechanical Engineering, a master’s in Nuclear Engineering, and an honorary doctorate in Science from Tuskegee University. He served as a Space Nuclear Power Safety Officer in the US Air Force, where he analyzed NASA space systems that utilized nuclear power sources. During active duty assignments in the Air Force and tours as an employee at the Jet Propulsion Laboratory, he helped develop some of the nation’s most advanced technological achievements including the Galileo mission to Jupiter, the Mars Observer Project and the Cassini Mission to Saturn and the Stealth Bomber (B-2). He has received numerous honors including two Air Force Commendation Medals, an Air Force Achievement Medal, and a number of NASA awards.